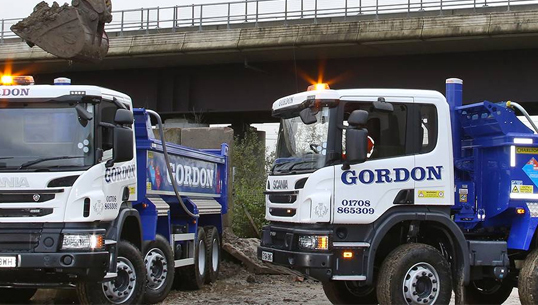 G F Gordon is based in Purfleet, Essex just inside the M25 and provides aggregate and muck away services in London and Essex. They are FORS accredited and all of their vehicles are Crossrail compliant and fitted with weigh loaders and Satrak real time tracking. 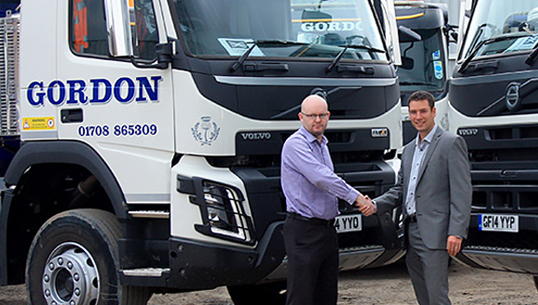 Established by Grant Gordon in 2000 Gordon’s have earned an enviable reputation for quality of service as a specialist company in a niche sector within our industry. They pride themselves on continually endeavouring to improve all aspects of their business and strive to be the absolute best at what they do.